The final score of a sporting match isn’t the only way to procure lucrative winnings from the gambling game. 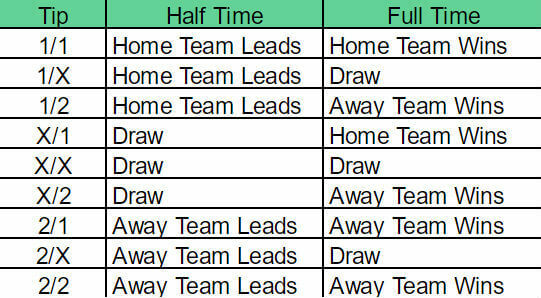 Half-Time/Full-Time (HT/FT) bets allow you to bet—and of course, possibly win—if you correctly predict who’s winning at half-time, in addition to who’s the final winner of the game. Halftime/fulltime covers the regular 90-minute game, meaning extra time and penalties are excluded (do not count). 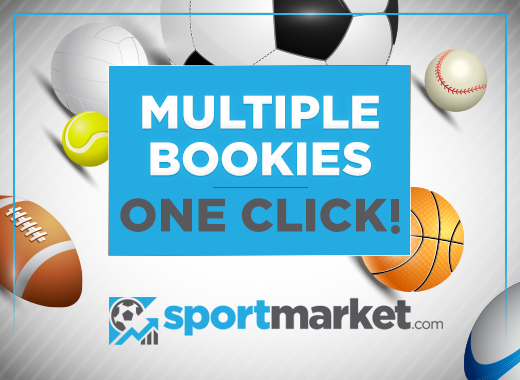 It is a special bet that belongs to the category of double bets, meaning you have to get right both the half-time standing and the end result correctly, in order to win. For this reason, the odds are also much higher. Let’s say there’s an upcoming football match in which you’re sure that one team will be ahead at the break, but you feel confident the final score will end in a draw. For example, Leeds, may be ahead at half-time, with Newcastle tying the game in regulation time. In a case like this, you can bet for Leeds leading after the first half and then a draw at full-time. The odds can be higher, usually around 16/1 (or 17.0 in decimal) for the game to end a draw. That means you’d be getting a huge profit for yourself if you bet HT/FT. Halftime/Fulltime can be offered for any sport that is divided into two equal parts - football, basketball, rugby and American football, among others. Therefore, it offers 9 possible results (see the table below). An exception is ice-hockey, which is made up of 3 periods, but is also a sport that offers this type of bet (with 27 possible outcomes). The odds of HT/FT bets are higher than traditional 1x2 odds. For instance, we will look into this example from Bet365 - Hertha vs. Bayern. The Full-time result odds are 1.40 for Bayern Munich, so the team is the clear favorite. But these odds are so low that it would not be worth even betting. However, say you followed the German Bundesliga games this season and you noticed that in the past 10 games or so, Bayern often ends the first half with 0:0, but manages to score a goal or more towards the end of the game. Looking into Bet365 offering for Half Time/Full Time bet, we see that a draw for the half-time and an overall win for Bayern Munich has odds of 3.60 - a much better offering. If you want to play safe you can also place more than one HT/FT bet. This combination can be a lucrative strategy for games with clear favorites, due to the high odds HT/FT offers. Another approach might be, staking small amounts on picks with high odds that you believe are likely to happen. In this particular instance, the match Hertha Berlin - Bayern Munich on February 18 ended 1:1 (1:0 | 1:1). If you had bet 10 EUR on this selection, your winnings would have been 210 EUR. Of course with any kind of gambling, you’re assuming a risk, but in the case of Half-Time/Full-Time bets, you can come out a big winner! This bet is sometimes looking for FIX, yeah! To much clubs low league in strange country play season and season HT/FT.